The Ivory offers fantastic food and breathtaking views in stylish surroundings. 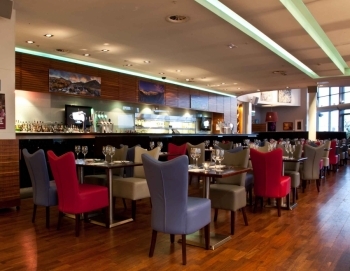 Nestled firmly above the hustle and bustle of Belfast’s shopping scene, The Ivory Restaurant and Bar is renowned for being a wining and dining venue with a view. With a chic and stylish interior that leads onto Belfast’s biggest outdoor luxury dining area boasting spectacular scenery, it is no surprise that our rooftops oasis are considered one of Belfast’s most supreme socializing spots!